Well, good news is coming. Thanks to recent technological advances, it’s possible to connect these simple tools into an integrated, intelligent system that can address social challenges in ways never before possible. Combine video with artificial intelligence (AI) and it becomes a rich source of data that delivers deep insights into human behavior, safety, and business operations – insights that can address some of society’s most pressing problems. Organizations around the world are transforming video from a simple, reactive tool that must be constantly monitored by humans into a dynamic and largely automated solution that provides proactive insights and alerts that help us improve our quality of life. Take a look at just some of the possibilities. Some transit organizations use video intelligence to detect when stations get crowded so that they can quickly deploy the right number of buses or train cars. With smart video, drivers know where parking spots are available and when mass transit would be a better option compared to driving. And cities can identify recurring traffic challenges – such as double-parking by rideshare drivers – and implement practical solutions like designated passenger loading zones. Every year, 20,000 warehouse workers in the U.S. suffer serious workplace injuries. These injuries are serious in human terms to the individuals and their teams, and they also cost employers more than $35,000 in direct expenses per incident.6 With smart video, manufacturers can receive real-time alerts about safety violations, institute data-driven safety programs, improve incident response times, strengthen worker training programs and predict maintenance needs. This makes the workplace safer while significantly reducing business costs. Throughout the world, thousands of pedestrians are hit and killed each year as they cross railroad tracks and traffic intersections. In the U.S. alone, nearly 6,000 pedestrians were killed in 2017, a 25-year high.7 Many of these collisions could be avoided by adding AI software to traffic cameras. AI software can use video data to prevent collisions by issuing immediate alerts to drivers when pedestrians are near, or train operators when a car is idling on the train track or to bus drivers when a person is crossing the street. By collecting data on near misses, city governments can improve safety and reduce incidents at the most dangerous locations. 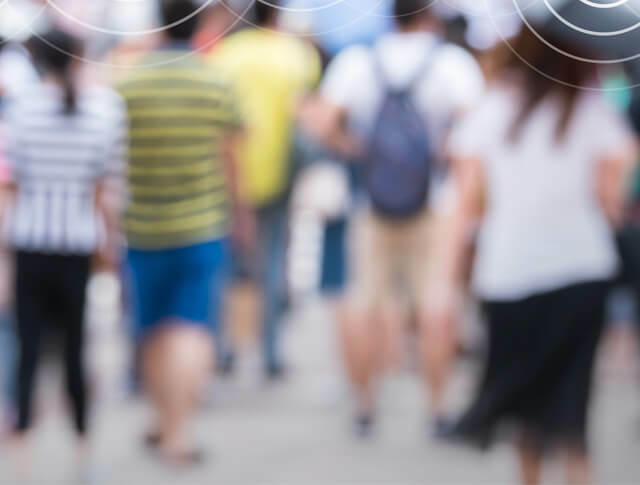 Universities are using video analytics, facial recognition, and data visualization and integration to improve operational efficiency and campus safety for students and staff. By using video data to understand and optimize classroom and building usage, universities are able to use the resources they have more efficiently and push out new infrastructure construction by several years, saving millions in operating expenses. Some of the campus data is even being exposed to students for research and class projects, giving them a more hands-on and relevant education for the technological jobs they will be applying to after they graduate. Already, organizations around the world are transforming video from a simple, reactive tool that must be constantly monitored by humans, into a dynamic and largely automated soluiton that provides proactive insights and alerts that help us improve our quality of life. Look at just some of the possibilities below. We are all concerned about losing control over our identities and personally identifiable information (PII). So it’s great news that smart video can protect privacy and improve transparency even as it gathers and analyzes vast amounts of data. That’s because AI software automatically obscures and protects people in surveillance videos in real time through pixilation, while movement and actions remain recognizable. When potentially sensitive video footage needs to be viewed, access is restricted to authorized analysts or officers with proper credentials. The actions performed by analysts on the system are recorded and can be audited for full transparency. Although video has been in our lives for a long time, we are just beginning to tap into its full potential. By adding AI software to existing cameras and stored footage, we can better address a wide array of social and business problems – and ultimately create a safer, smarter, healthier and more secure world for all of us.